BHI has earned decades of experience in designing and manufacturing high quality elevator cabs for the Long Island area. In this time, we have built elevator cabs and entrances for many of the most well known buildings in Long Island New York. We have made a name for ourselves as the most detail oriented and professional designers and builders to work in the Long Island area. We take pride in our work, and we can guarantee that any elevator cab we design and build for your building will last for many decades to come. 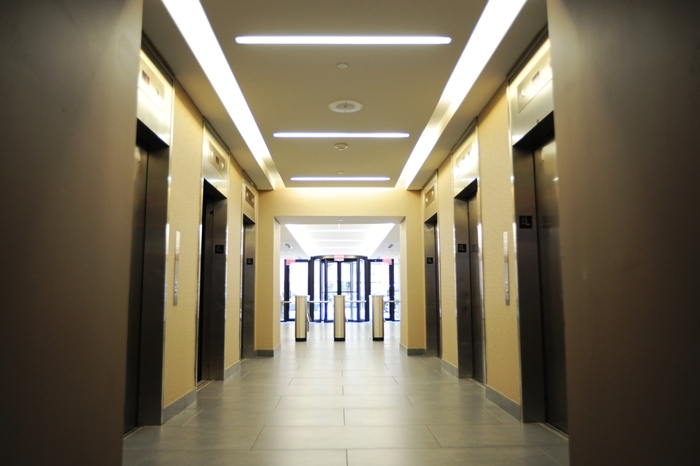 BHI Elevator Cabs and Entrances operates out of a 10,000-square foot facility located not too far from the Long Island New York area. Our facility houses cutting edge equipment that are expertly operated by our professional machinists to bend, twist, punch, or shape almost any metals, wood, plastic and many more materials into the elevator cab of your dreams. Our fabrication equipment allows us to meet an almost infinite number of custom architectural and material forming needs that our clients may request. We not only make great efforts to ensure that our clients requests are met beyond their expectations, but we also do so in a way that is environmentally responsible. We utilize a number of techniques to ensure that our facility and the elevator cabs we produce within it has as little of an environmental impact as possible. We make use of LED lighting, utilize renewable resources, and only use FSC certified wood to ensure we contribute to environmentally friendly deforestation techniques. To be sure that our building process does not produce any unwanted waste products, we use low VOC adhesives, and water-based paints. Safety is a vital concern of ours which is why BHI Elevators only uses Class A fire rated materials in our products. This ensures that the elements that make up your brand-new elevator cabs often meet and even exceed fire code regulations. We at BHI believe that fit and finish is only half they journey when it comes to building a new elevator and or entrance for your building. An elevator should be just as safe and environmentally friendly as it is strong and stunning to behold. We apply the same careful attention to detail that we employ when designing and crafting your elevator to ensuring that all its riders will be safe within its walls, while the world outside is impacted as little as possible. BHI has already built up a storied reputation in Long Island and surrounding New York area, and we are ready to add your building to that story. Call or email us today to learn more about how we can elevate your building to the next level.